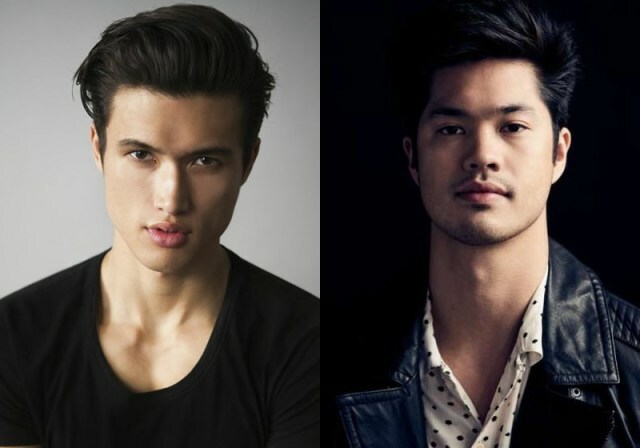 All I was asking for from Riverdale (based on Archie Comics, one of my childhood-favorites) was a show that would be different from Pretty Little Liars, so of course it turned out to be similar -_- I gave up on Pretty Little Liars because it was so confusing and I had absolutely no idea what was going on most of the time. Even my girl-crush on Shay Mitchell wasn’t enough to keep me interested. Don’t get me wrong. I’ve watched (and still watch) a lot of other way more complex shows and quite enjoy the lot of them. Also, when done correctly, a “whodunit” plot can be quite compelling. However, with no satisfying pay-off (several seasons in, mind you) to make it feel worth putting up with all that constant teasing (she’s “A”, he’s “A”, they’re all “A”, nobody is “A”), I was triggered annoyed enough to call it quits one day and just stopped watching Pretty Little Liars (still dunno who “A” is and not even the least bit interested in finding out, ya’ tease someone long enough and it stops being playful and just becomes straight up irritating). Edit: I gave up on Dynasty ages ago. Only the first 2-3 episodes were decent, but then it took a turn and now it’s just pretty girls traipsing about in pantsuits and yapping away about nothing… all the time. Another thing that I was really looking forward to was to see whom they cast (which turned out to be disappointing). What’s that word nerds like to throw around a lot? Canon. The character’s traits (personality, sexuality, heck even ethnicity) should be considered canon! I get that the CW wanted Riverdale to appeal to a wider audience, so they switched it up, but you can’t go around changing things all willy-nilly like that. 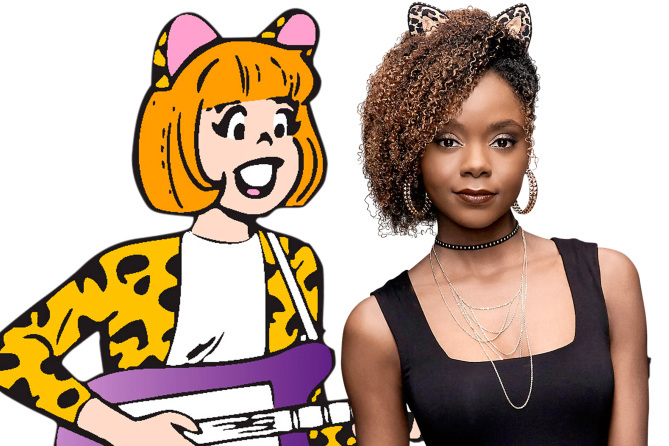 In fact, aside from the names (and hair, lawl), I don’t believe the tv characters have anything in common with the comic book characters. To the extent that I was actually gratified when Jughead finally had a burger on the show and even made a comment about his appetite (as a nod to comic book version of Jughead who is pretty much always stuffing his face since he loves food). Even the way they’ve coupled up the characters seems so… rushed, like it was a spur of the moment thing (as in what would get a bigger reaction) and wasn’t really well thought out. I mean for starters, Jughead is asexual in the comics with a love-sick Ethel always pining over him, meanwhile Moose was very heterosexual in the comics and had a longtime girlfriend called Midge. I can keep going but what’s the point? Long story short, I’m extremely disappointed by Riverdale and by extension the CW (you really let me down, guys). I get that they wanted Riverdale to be edgy… but it just came across as so forced. 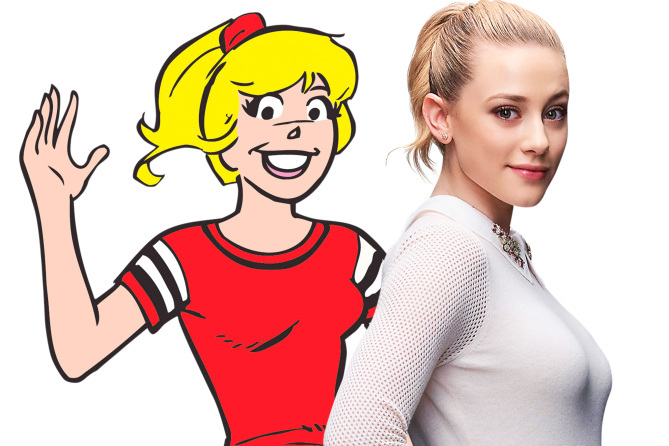 Also, I’m pretty sure a large part of the cast recently got veneers or invasalign or something that has to do with teeth… because there was a whole lot of lisping going on (Archie, Betty, Cheryl, and more) which really made me wonder if it was mandatory (like, in the contracts they signed with The CW) for them to get their teeth fixed, or if there was some sort of deal on bulk orders of the service (let’s say veneers), or if it was just another perk that the majority of the cast decided to go for since it was a free option. Honestly, I’ve always found a natural lisp to be absolutely delightful; Maggie (Grey’s Anatomy) has a lisp and it’s the cutest thing ever but Olivia Pope (Scandal) has a lisp and it is everything! However, after watching Riverdale I’ve come to the conclusion that manufactured lisps (acquired after veneers or whatever) are not only unfortunate, but also highly distracting. I noticed it all throughout the first season of Riverdale but kept telling myself I was imagining things, until the penultimate episode (Season 1 Episode 12) where Betty picks up the jacket and hands it to Archie, telling him to “puthith on”. I could not have felt more validated! Okay, so I’ve included the clip above (don’t worry, I’ve set it so it’ll play that exact scene so you don’t have to watch all four minutes) but DO NOT WATCH THE CLIP IF YOU HAVE NOT FINISHED WATCHING SEASON 1 (‘cuz… spoilers). It’s not exactly the best quality out there (the lisp was more obvious in the HD episodes that I downloaded) but it’s the only one I could find on YouTube. Betty was particularly lisp-y throughout the entire episode but that was the one that settled it for me (that she really had been lisping this whole time… and that I really am highly, highly, highly neurotic). Speaking of neurotic, they dyed the hair of this little kiwi and forced him to drop his accent (and you all know how crazy I can get when I feel that someone is being forced to drop their accent), which coupled with the whole lisping thing, really took me out of the show. I also don’t appreciate how the other characters keep alluding to Archie being the stereotypical “Good Guy” (to quote Jughead, in reference to Archie, he straight up called him, “Pureheart the Powerful” and “Rockstar God” and that’s only in the first episode of the second season). Enough already, we get it. 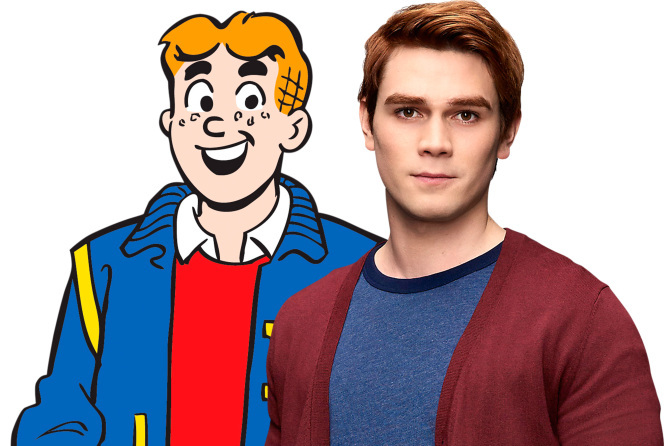 Archie is meant to be the good guy. Here’s a thought. How about they show us (and let us decide for ourselves), rather than force-feed tell us? Personally, I have an issue with confused, wishy-washy male leads (like Fitz on Scandal) and from the bad dye job, to the cheezy lines delivered in a wonky accent, to all the horrible decisions he keeps making on the show, I just find Archie to be… irritating. 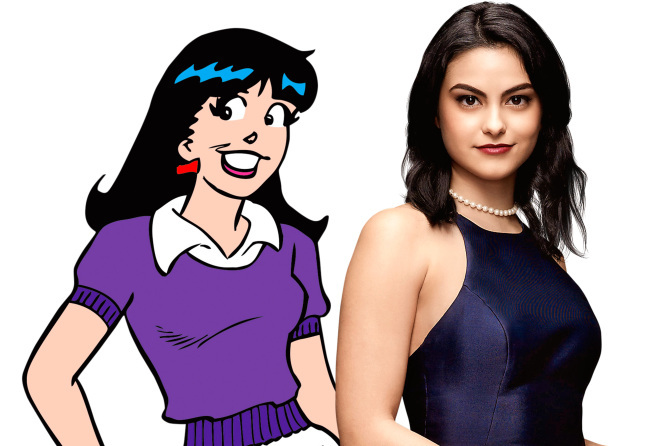 Another character I found irritating was Veronica because it seemed like she was trying (and failing) to emulate Blair Waldorf (Gossip Girl). I felt that the actress playing Veronica just wasn’t charismatic enough to pull it off. It came across as being so forced, scripted and basically, unbelievable. I’d literally cringe every time she said, “Archie-kins” (and she said it A LOT). Looks-wise, it’s kinda’ hard for me to consolidate the image of the tall, leggy brunette from the comics, with the petite, bottom-heavy actress (just to clarify, being bootylicious is all well and good but I don’t recall the character in the comics portrayed in that way). Also, I don’t understand why they made Ronnie a Latina (I mean, I’d be just as confused if they’d made her an Arab, Greek, or Serbian). This was a perfect match! The actress they cast to play Betty is cute as a button! She’s got such an open and honest face (when I see I pretty face, I’m immediately inspired and want nothing more than to apply makeup to it) which fits in perfectly with that sweet and innocent “Girl Next Door” vibe that Betty is supposed to have. The whole lisping thing kinda’ drove me crazy and the episode where she wore a short black wig for Chuck Clayton was very… odd, but other than that, I quite like Betty. I can’t wait to see how they style her in the second season. Everyone always looks way better in the second season (after the show gets a little more money thrown its way). My favorite character in the comics. My favorite character in the tv show. 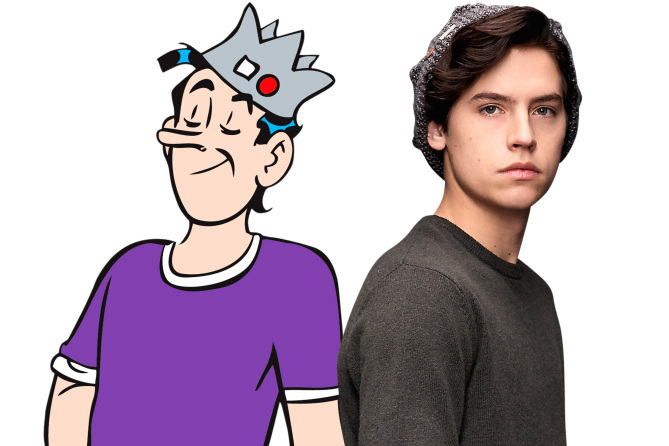 I just love Jughead! 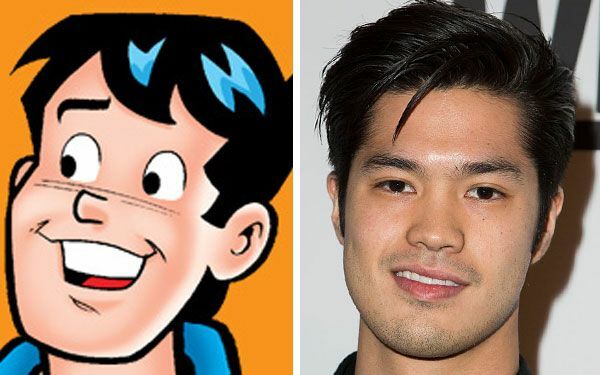 Again, I don’t understand why they made Reggie an Asian-American on the show. Thankfully, they didn’t switch up his personality and he’s still very much a bully. With that being said, I don’t recall seeing much of him on the show. Like, where is Reggie and why isn’t he hanging out with the rest of them as much? 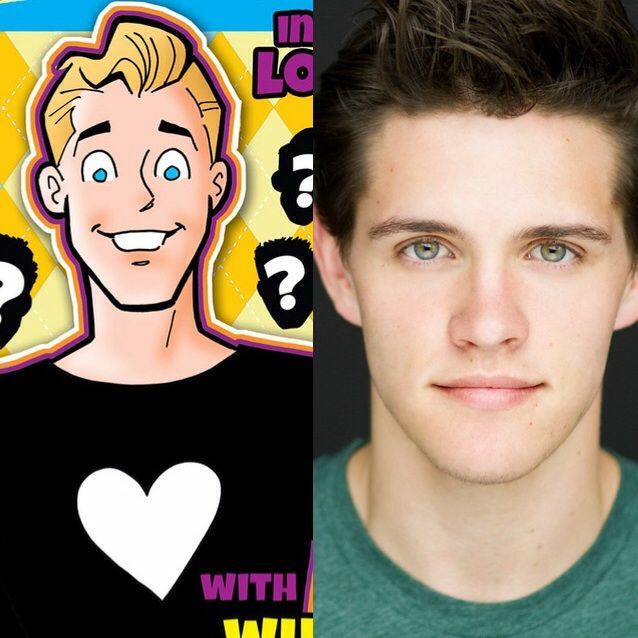 For the second season, they switched him out with this guy and as you can see, the new Reggie is… beautiful! Josie is the lead singer in the band Josie and the Pussycats, the other two members being Valerie Brown and Melody Valentine. 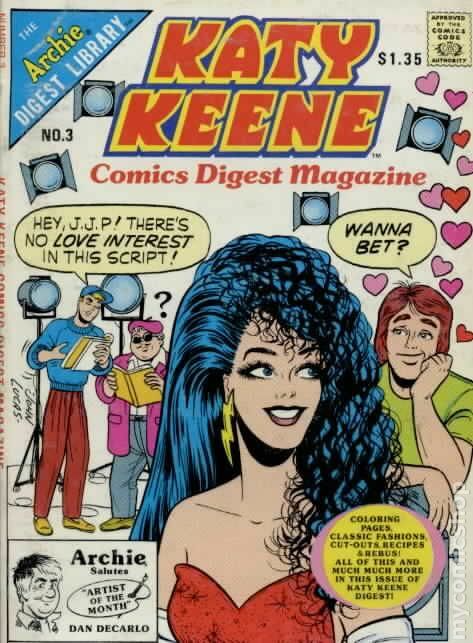 In the comics, only Valerie happened to be African-American (or whatever the p.c. term is nowadays, not trying to offend anyone) whereas Josie was a redhead, just like Archie and Cheryl (which I guess was a bit too much red for the producers, lawl). On the show, the entire band is African-American. They sing a lot too, which is fine (bar that ear-bleeding rendition of “Milkshake” on Pop’s roof) because they’ve got lovely voices. Aside from singing, I don’t remember Melody talking… ever (at this point, I’m starting to think I imagined her) whereas Valerie is a sweetheart and Josie is a nightmare. Also, Josie is always saying super-cheezy cat-related lines to everyone (“he can take as much of our nine lives as he needs”) as if to drive the point home so the viewer doesn’t forget (that they are the Pussycats). That’s all well and good but the thing that actually bothers me (like really bothers me) is how the Pussycats strut around wearing cat ears. All. The. Time. This was the biggest disappointment. 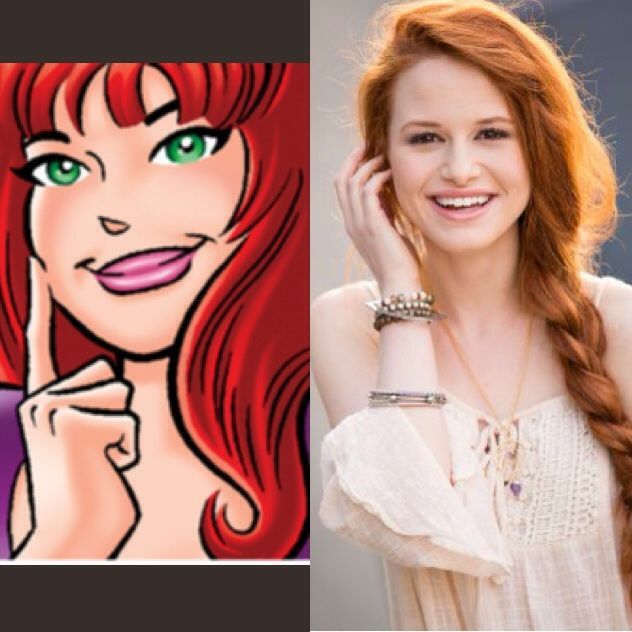 In the comics, Cheryl is a gorgeous, feisty, green-eyed redhead. The girl they cast is… so far from that. I felt that Lydia from Teen Wolf would’ve been a way better Cheryl. Also, her wonky false eyelashes bugged me (hopefully their makeup artist will fix that in the second season). Looks aside, she’s very obnoxious, making Veronica and Josie look quite tame in comparison. I could get past all that. The thing that I couldn’t get past was how the girl is a sociopath, disproportionately so. It felt as if there was the show I was watching called Riverdale (a show about teens in highschool and whatever) and then there’s another show that Cheryl was on (a dated over-dramatic soap opera). I might not be explaining it well. Basically, it feels like there’s a disconnect between Cheryl‘s character and the other characters. Cheryl is one of the main reasons I don’t like Riverdale. 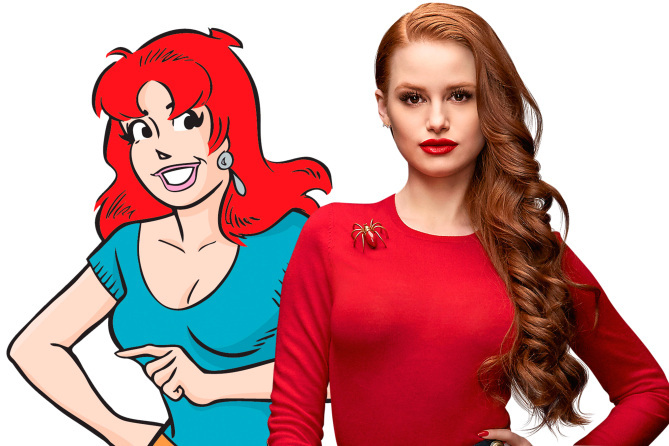 As beautiful as the new Reggie is, I wish Cheryl was the one that’d gotten switched out. I’ve never heard of this character but that’s because he turned up in the comics around 2010 (years and years after I stopped reading Archies). His character on the show is pretty likable, actually. 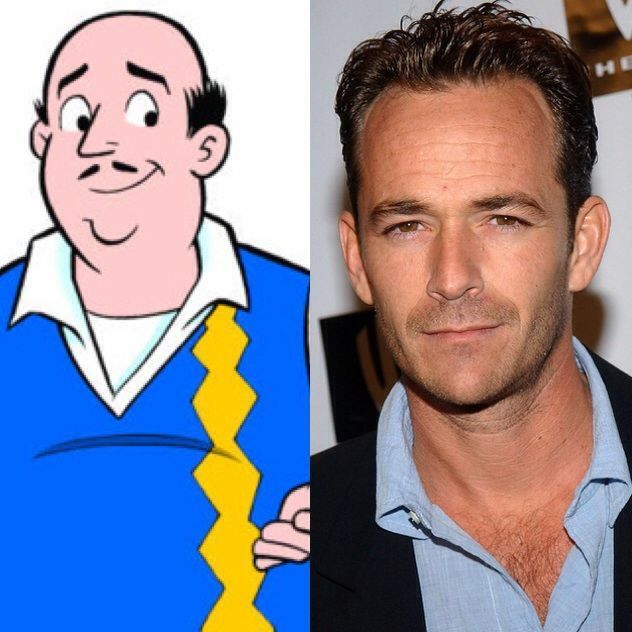 So thankful that Luke Perry from 90210 (the original) and Oz was cast as a parent and not as a teen on Riverdale. 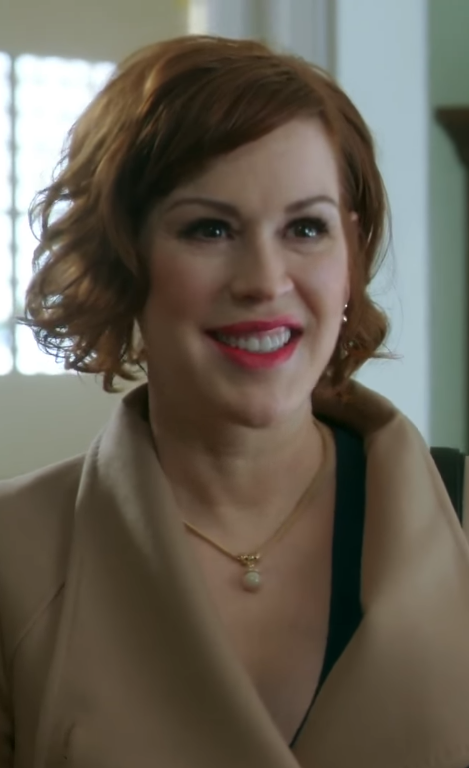 Archie’s mom is played by none other than Molly Ringwald (Pretty in Pink)! Wish we got to see more of her. Veronica’s mom. Wish we got to see less of her. Betty’s mom starts of as ultra-controlling in the first season but in the second season she’s all blase and la-dee-daa about everything. Pick a lane, guys. Edit: So, I’m kinda’ loving her in second season! 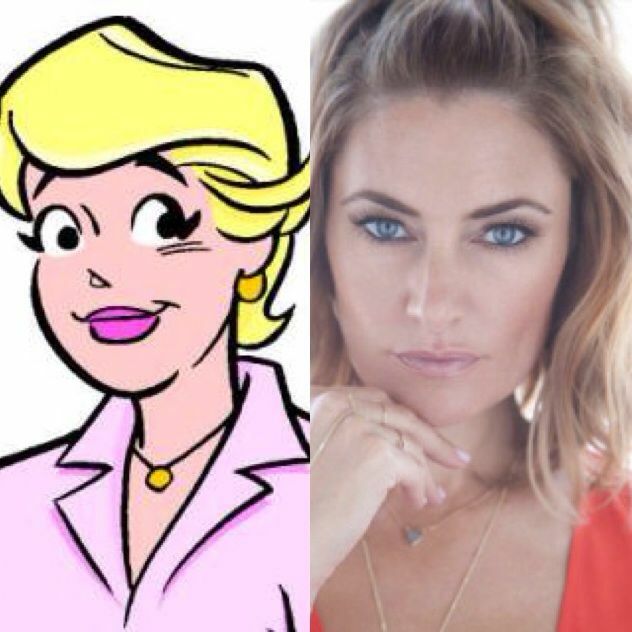 I really hoped Katy Perry Katy Keene would make an appearance and maybe even Sabrina The Teenage Witch (dunno’ where or how she’d fit in), but after seeing whom they cast as Cheryl, I’m gucci. Okay, so I started writing this post early on but never got around to posting it. The way I’ve watched Season 2 of Riverdale was by waiting for a couple of episodes to pile up before watching them all back to back, because to me, it feels like Pretty Little Liars all over again (he’s the “Black Hood”, no he is, no they are) -_- Based on the down-turned eyes, I was so sure it was Betty’s dad but whatevs. 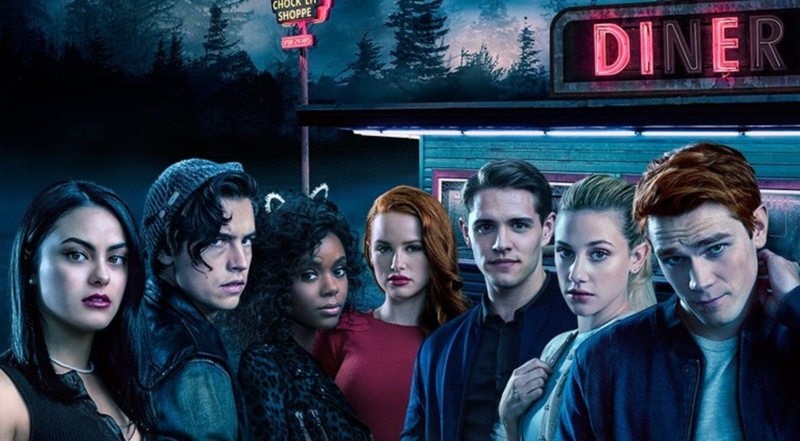 Over all, I can see how Riverdale might appeal to teens… and lonely middle-aged women who would like to relive their high-school years, but the show is just not for me. 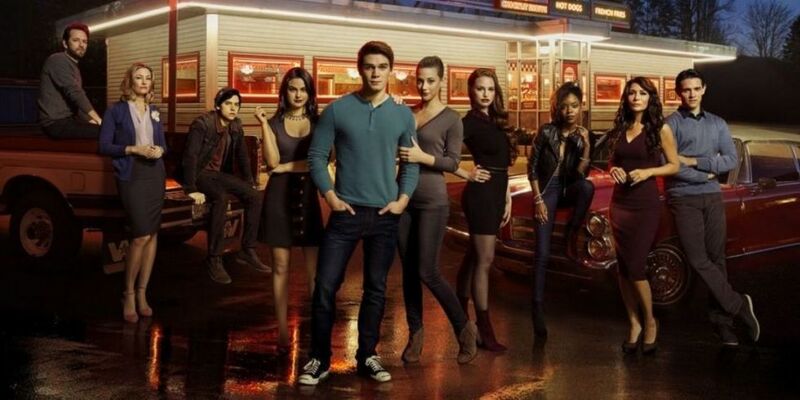 At the risk of alienating… well, the rest of the world (who apparently love the show), I just can’t stand Riverdale. It just feels like the show takes itself way way way too seriously. Everything that takes place on the show comes across as so forced and unbelievable. There is no character arc or development. The characters will stand for something and act a certain way during one episode, and then be the exact opposite in the next episode, out of the blue. Plus, the fact that they keep killing off characters all willy-nilly in an attempt to make the show seem edgy just bugs me so much (not that I actually care about the characters they’re offing). That musical episode (exactly why would a parent be cast in a highschool play?) where EVERYONE sang (ugh, off-key much? Archie sounded like he had a frog in his throat!) was the final nail in the coffin for me. Also, in Season 2 Episode 18 people are still alluding to Archie as being the “good guy”. Honestly, I feel like continuing to watch Riverdale would be an insult to my intelligence… and for that reason, I’m out. and this is why I don’t want to watch Riverdale, I grew up reading the comics just like you and i want to keep those happy memories in its place without any modern twist in it. I want to keep those innocent love stories of Betty vs Veronica over Archie. Good call on ditching PLL (such a silly show). My advice would be to do the same with Riverdale because almost all of the characters are super irritating, Cheryl in particular.